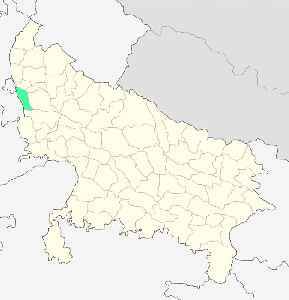 Gautam Buddh Nagar is a largely suburban district of Uttar Pradesh state in northern India. It is part of the National Capital Region (India). Greater Noida is the district administrative headquarters. The city of Greater Noida is India's first ISO 16001:2017 certified city.